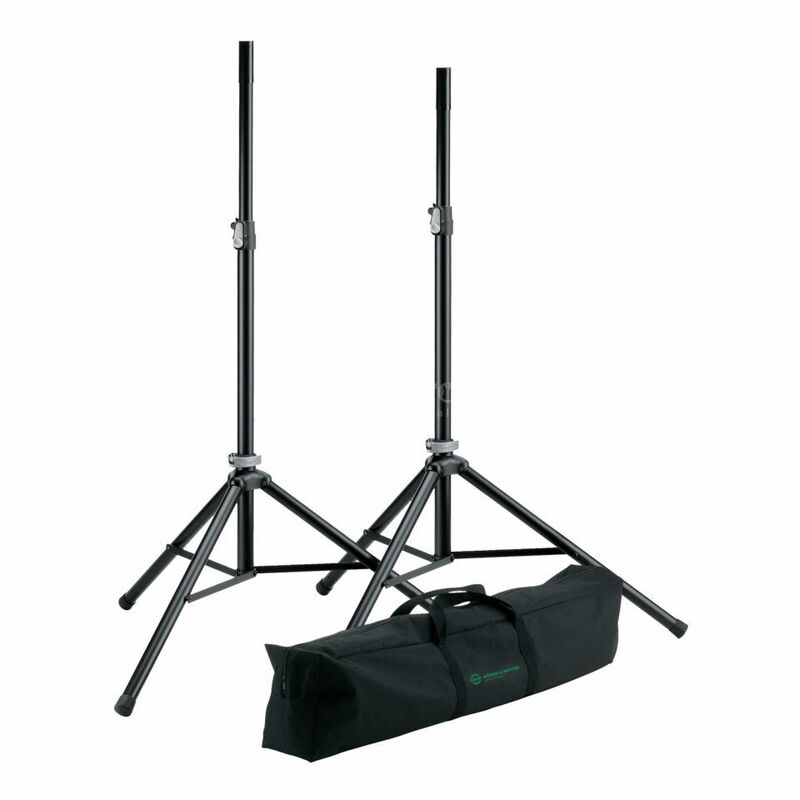 The K&M 21449 PA Speaker Stand and Bag Set includes 2 super sturdy K&M PA speaker stands with a maximum load of 50kg plus a protective, highly durable carry bag to transport and store your stands. Two easy-to-carry speaker stands made of high quality aluminium in a carrying case. Fibreglass-reinforced fittings and a compact clamp with a patented push-button system affords user-friendly height adjustment and ensures stable support for the speakers. The leg construction adjusts by an easy-to-use clamping lever. Great functionality and design, handy bag. Stable speaker stands and useful bag to store them in as well as transport them.